Peter Heller is a longtime contributor to NPR, a contributing editor at Outside Magazine and Men’s Journal, and a frequent contributor to Businessweek. He is an award winning adventure writer and the author of four books of literary nonfiction. He lives in Denver. Heller was born and raised in New York. He attended high school in Vermont and Dartmouth College in New Hampshire where he became an outdoorsman and whitewater kayaker. He traveled the world as an expedition kayaker, writing about challenging descents in the Pamirs, the Tien Shan mountains, the Caucuses, Central America and Peru.At the Iowa Writers’ Workshop, where he received an MFA in fiction and poetry, he won a Michener fellowship for his epic poem “The Psalms of Malvine.” He has worked as a dishwasher, construction worker, logger, offshore fisherman, kayak instructor, river guide, and world class pizza deliverer. Author Photo: Tory Read. CLICK HERE FOR MORE BOOKS BY PETER HELLER. 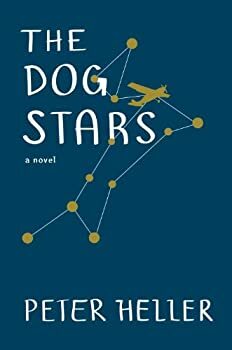 Peter Heller’s The Dog Stars is the newest entry into the post-apocalyptic genre (at least, it was when I began this review, by now it’s probably been succeeded by a dozen others), but despite joining an ever-growing list of such novels, The Dog Stars does a nice job of standing out amongst the crowd.